Lisbon: A Traveller’s Guide | When planning a trip around Europe, backpackers, people going interrailing or just travellers in general, often miss out Portugal from their itinerary, since it’s in a bit of an awkward position for those trying to optimize their travels and see as much of the continent as they can. But this is a mistake lots of seasoned travellers live to regret. Portugal is a unique country with a huge amount to offer, particularly in the capital city. If you’re planning a trip around Europe (or you’re just looking for a weekend in the sun!) don’t overlook Lisbon. Here’s a rundown of things you don’t want to miss out on. What to see in Lisbon. Berardo Museum. Housing one of Europe’s best modern art collections, the Berardo is a great place to pass a couple of hours, soaking in the artistic talent of Warhol, Picasso, Dali, and many others. Santa Justa Elevator. For fantastic views across the whole city, head to the top of this structure in an elevator and marvel at all you survey. Monastery of St. Jerome. Built in the 1500s, this is a prime example of European history. Now protected as a World Heritage Site, soak up the history, the beauty and the majesty of this structure. St. George’s Castle. Parts of this castle are over a thousand years old and afford some of the best views over the city. If you have time to pay a visit, it’s well worth it. Oceanarium. Open daily from 10am to 7pm, this is a great day out for families or if you just want to appreciate some great marine life. It’s surprisingly relaxing. Where to stay in Lisbon. There are a few different areas that are best for travellers. Most travellers tend to lay their heads around Rossio Square, the Baixa neighbourhood in general or the Bario Alto, where most of the action is. There is a lot of really good value accommodation in Lisbon. If you’re on a traveller’s budget, it’s very easy to find reasonably priced places to stay. Google ‘hostels in Lisboa’ before you arrive and you’ll find a lot of options. Hostels in Lisbon are generally considered to be of a good standard with respect to the rest of Europe, so it is doable on a budget. If you’re looking for something of a more luxurious holiday and have the money to spend, Lisbon has great hotels like any European capital. The most popular tourist areas for hotels are, again, the centre of Lisbon at Rossio Square or the Bario Alto (old neighbourhood). As these places are in the centre of the city, don’t worry about having to travel far for food, drink, tourist attractions, or anything really, since it’s all very much on your doorstep! When to go to Lisbon. Lisbon has a pretty good climate all year round; roasting hot summers perfect for sunbathing in between museum hopping or ice-cream eating, and mild, fairly dry winters that provide comfortable conditions for a little exploration. 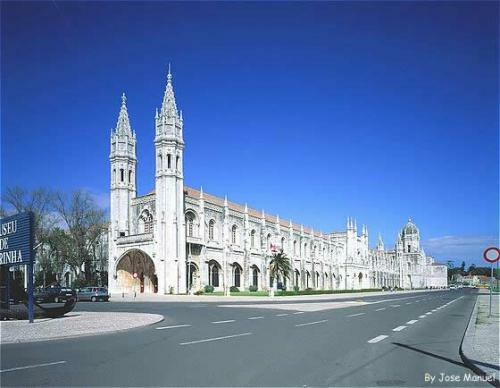 The summer months are, naturally, most popular with tourists but Lisbon rarely feels overcrowded. To get a nice mix of good weather and peace and quiet, head to Lisbon in the spring and you shouldn’t be disappointed. Lisbon airport has flights to most European cities and connections to all European capital cities. If you’re looking for accommodation on the cheap, click on Lisbon hostels for some great deals or else search online for other hotels or apartments. Great post. I love all the great information on Lisbon that you have provided. I love the pictures.